It’s not every day Minnesotans get treated to not just one, but TWO, Lao Americans releasing their new books, but that’s exactly what’s happening on December 30th. Children’s book author Nor Sanavongsay is releasing A Sticky Mess (Sahtu Press, 2013) his very first book based on the beloved folktale hero Xieng Mieng, who was the most clever man in the kingdom. 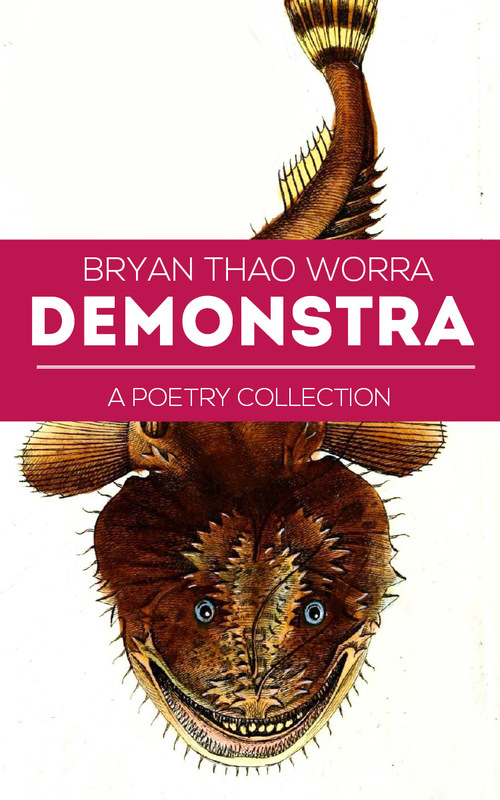 Little Laos on the Prairie editor Bryan Thao Worra is releasing his newest book DEMONSTRA (Innsmouth Free Press, 2013) which collects over 160 pages of speculative poems and the art of Vongduane Manivong together to explore the Lao American journey using Godzilla, H.P. Lovecraft, and even fighting space monkeys from the distant future. Xieng Mieng also appears in DEMONSTRA if you look carefully. The free reading will be held at the Lao Cultural Center Building at 2648 West Broadway Avenue in Minneapolis. The reading and book signing will take place from 4:30PM to 6:30PM on Monday, December 30th. 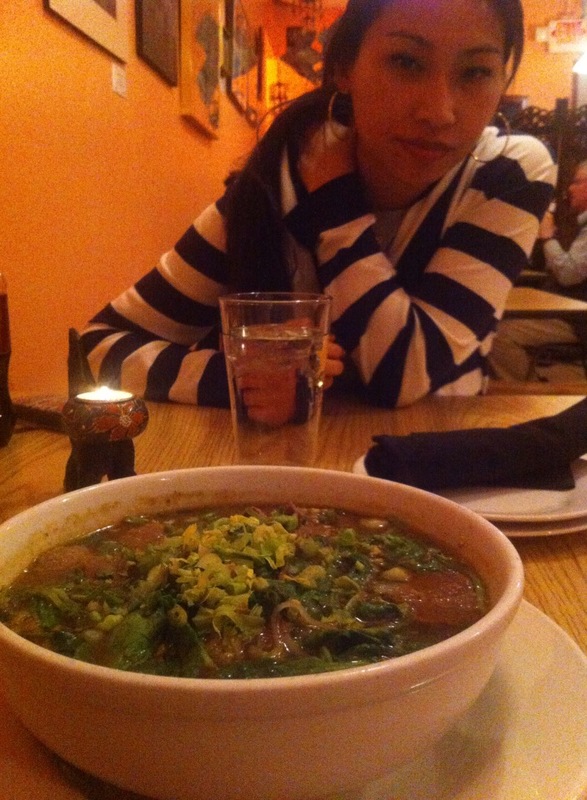 It will likely be the last Lao Minnesotan reading of the year. The event is free, and refreshments and snacks will be provided. The event will also be a great chance to connect with many other members of the community. They’re still deciding where the after-party will be held. In the classical folktale, Xieng Mieng spent several years growing up in a wat, where one of the elders was something of a bully. Lao have often used the tale to demonstrate the mix of Lao humor and intelligence to overcome oppression. Author Nor Sanavongsay had the task of writing, illustrating and doing all of the layouts and corrections to make sure it came out perfectly. Now you can order it on Amazon. But by coming to the reading you can get it personally signed by the author. Throughout this month, Nor Sanavongsay and his family are doing a number of other visits throughout the Midwest to show the book and to meet new fans and readers. 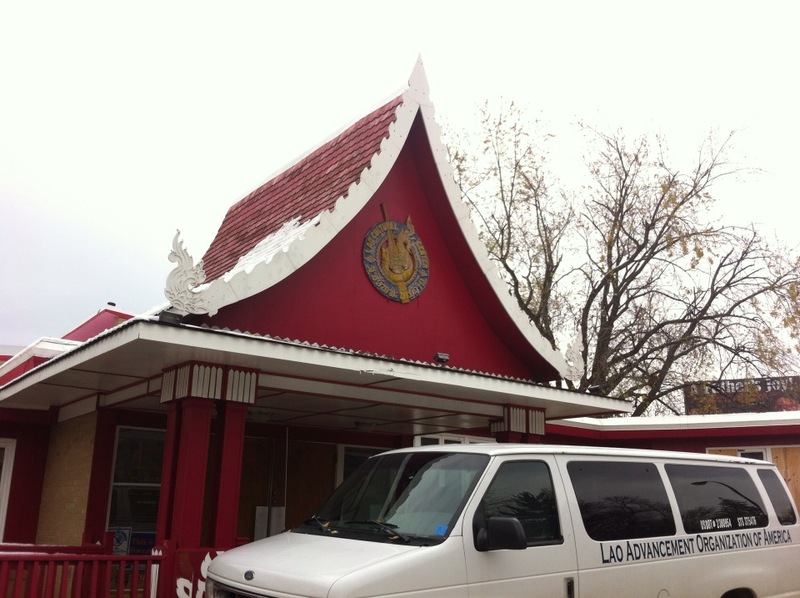 In Minnesota, the reading is at the Lao Cultural Center Building in North Minneapolis, which is home to the Lao Advancement Organization of America, although many others may be familiar with it as the Lao PTA. The Lao Advancement Organization does many programs with the youth and elders who are interested in preserving our cultural traditions. Many of the staff there hope to expand the cultural offerings the organization provides in the coming years ahead, including traditional dance, music and visual art. For artist Nor Sanavongsay, this is part of a dream come true. He began working earnestly on this project almost 14 years ago. 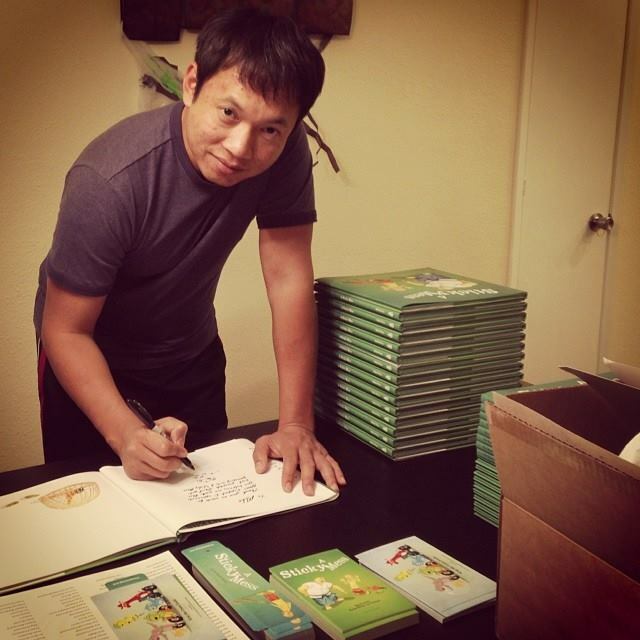 I interviewed him previously for Little Laos on the Prairie and now he’s in the process of signing the books and delivering them to all of his fans who supported him so much. He has also announced the formation of a new publishing company, Sahtu Press, where he hopes to work with others to bring even more childrens books and Lao tales to the world. Throughout the year, Nor Sanavongsay has been sharing sketches and pictures from his process to bring Xieng Mieng to life, and it’s amazing how it has all come together. Many of us remember when he first began presenting his ideas for the Xieng Mieng stories, and how he would interpret the story for modern audiences. 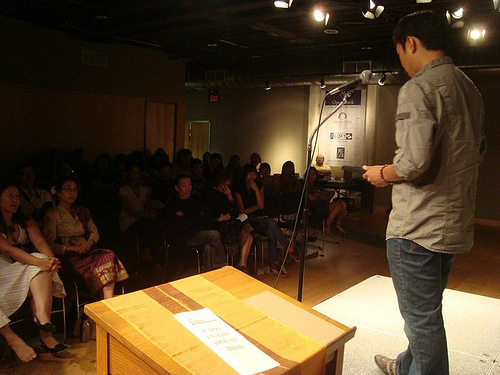 One of his most recent visits to Minnesota was during the 2010 National Lao American Writers Summit, where he showed the progress he had made. Nor was inspired by many of today’s best artists and illustrators, and wanted to put his own distinctive touch to the story, such as Xieng Mieng’s pet rooster who accompanies him along the way. With almost every page, there’s now something that’s there to reward the careful reader. DEMONSTRA is coming from a new publisher for Bryan Thao Worra, but one he’s worked with since 2009. It’s the very first collection of poetry from Innsmouth Free Press, based in Canada. Founded by Silvia Moreno-Garcia and Paula R. Stiles, they’ve often presented anthologies inspired by the work of 20th century writer H.P. Lovecraft whose work is enjoying a particularly vibrant resurgence in the last few decades. The original art that was commissioned from Vongduane Manivong looks fantastic and has made the book well worth the wait since it was first announced last year. Overall, it’s been a busy year for Bryan Thao Worra, who has been presenting at events such as the H.P. Lovecraft Film Festival, the San Diego Comic Con, MarsCon, and Minnesota’s popular reading series, Cracked Walnut. He has been in Minnesota assisting the first cohorts of the Lao Leadership Institute. He is also helping to develop plans for the 2014 and 2015 Lao community celebrations across the country to mark 40 years since the Lao Diaspora began. In particular, he’s looking at how to organize the next National Lao American Writers Summit. It’s been 10 years since his last trip to Laos, and as he gets ready to turn 41 on New Year’s Day, he is reflecting on where we’ve been and where we might go. DEMONSTRA arrives at a perfect time. Many are suggesting DEMONSTRA is one of his best and most personal books yet, bringing a fresh new approach to understanding the myths and ghosts of Laos even among those who thought they knew what’s out there already. The reading will also include performance and entertainment from award-winning writer Saymoukda Vongsay, who most recently wowed the community with her play “Kung Fu Zombies vs. Cannibals” at the Southern Theater. Vongsay’s play holds the distinction of being the most successful of Mu Performing Arts world premieres in its history. L’Etoile Magazine just named her play the Best Production of 2013. She’s announced that her next play will address issues of mental health, time-travel, and robots. She’s also looking at developing a new children’s book, herself, so it should be exciting to see what she presents during the reading. These three don’t get to perform and present together often, so don’t miss what promises to be an exceptional and historic reading!